This is a first time home building guide. It entails 20 effective steps to build a home from the ground up with a checklist and tips. The checklist for building the house include: Grading and preparation of the house, Construction of the foundation, Framing, Installation windows and doors, Roofing, Siding, Rough electrical, Plumbing, HVAC (Heating, ventilation, and air conditioning), Insulation, Drywall, Underlayment, Trimming, Painting, Finish Electrical, Bathroom, kitchen cabinets and counters, Finish plumbing, Carpet and flooring, Finish HVAC, Hookup to water main and well drilling, Hookup to sewer or the installation of a septic system and Punch listing. 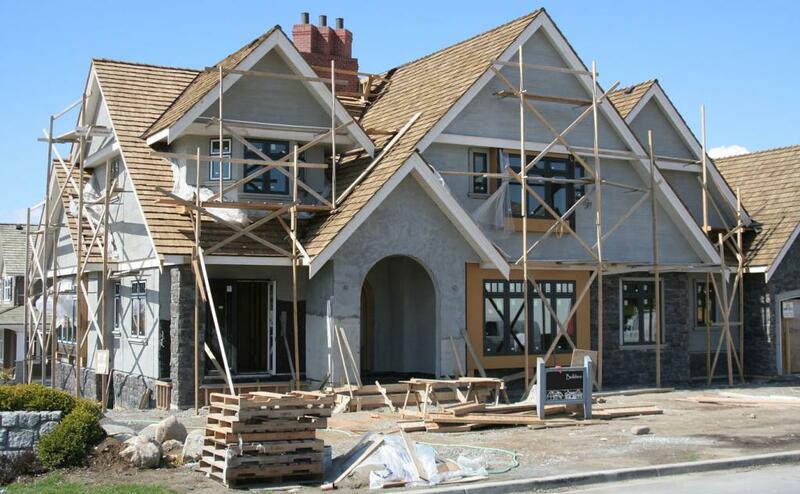 Contractor: Look and verify positive references and ratings about your new contractor. Stay local, staying local might reduce cost. You can also ask your insurance company for recommendations. You should also check the credentials of the contractor as well as writings and license. When you decide on a contractor, get everything into writing and ask for copies of the receipt for every product purchased. Contract: Consult a Professional Attorney to check or review your contract. Search for valid attorneys who can review your contract within 30 minutes for a small fee. Survey the site for Load capacity. How much weight can soil support? Some lands are very moist and waterlogged and might sink your house when constructing an apartment. Also, check for the size of the land. Will it be big enough to support your plan? Check for Proximity. Buying a house closer to your business centre or office might be cost-effective. Search for nearby amenities like malls, restaurants, schools, childcare facilities. Location: Choose the location of your new building project carefully and wisely. Survey: Visit the area and communicate with the neighbours, especially elderly women to learn more about the area, in terms of flooding, disaster or any vital information regarding your new neighbourhood. Budget: Set up a realistic budget and make sure to stay within range. Design: Design a list of your wishes and prioritize the most important ones and stick to your budget. Contract Fee: Ask what fee the builder charges to build your home. This will clear the atmosphere for bargaining later after building to prevent misunderstanding. How much does it cost to build on your Land? : The cost of the house or estimate to building the house is based on your budget and the choice of house plan you design or buy from an Architect. When you finally arrive at the exact cost estimate, Review and examine the Cost Estimate line-by-line. Architect: Work with a qualified Architect to design the floor plan. Unexpected Expenses: Expect to spend more, therefore you must plan for unbudgeted expenses. Time: Take time to build the house right. Planning Outdoor: Plan for outdoor or exterior living space like lounges, yards, grass and backyard. Energy Efficiency: Include energy efficiency features to decrease future electricity cost. Bedrooms: Bedrooms must be placed closer to the Laundry for convenience. Quality Metals: Consider using quality and long lasting metals like brass hinges, stainless steel handles to prevent rusting. Maintenance: Use low maintenance free building components like stainless steel appliances, metal roofs last longer than wooden or porcelain tiles. Fibreglass windows last longer than real glass. Marbles and natural stone can be used instead of wood for long-lasting features around the bathroom and other resting places. Closet Storage Systems: Invest in quality closet storage systems, like high-quality wooden materials for wardrobes, and dressing mirrors. Quality Paint: Use marine paint for some metals to prevent rusting fading and to prevent moth from eating wooden materials. Porches: Make sure Porches and verandas are six inches deep or more for containing Furniture. Ceilings: Ceilings should be at least 9 feet high with more ventilation in the living room.